interest in business is waiting for some big investor to pump money for them before the can start their own business and entrepreneurship preacher are not addressing this problem head on. I have been wondering if any of you have taken the time to analyses the problem of money before idea. 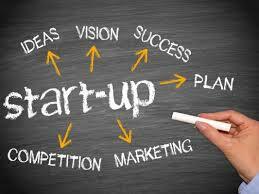 many of you are waiting for money before start your business, there is nothing wrong with this, but problem is seating down with no proper idea of the kind business you want to run, this is very bad for you, and the truth is that no investor will put money in you hands if you don't have proper plan and idea of the business you want to run. Now the first thing you have to do is find an ideas of the kind business you want to run, and the best way to find this is to look around and figure out which problem people are facing around your community and write a plan on the ideas of the kind of business you want to run that will solve that problem, thus enabling people to pay you for a solution you deliver to their problems. Can Fun Welcomes The Difficulties Of The Journey. Nothing in this life comes easy, am very sure you know this, which is why I encourage you to curve a niche for yourself in the area of your passion because building a technology startup in Nigeria is very difficult to compare to any other place in the world. Fun is what comes out of these difficult days of the journey, as a startup founder every day you are faced with a new problem, it is left for you find the driving energy to keep you going, this energy can only be gotten if only you are doing something you have Passion for. Do You Need An Office Space? It is only fear to share, use the social icon above and share with your friends on the social media.